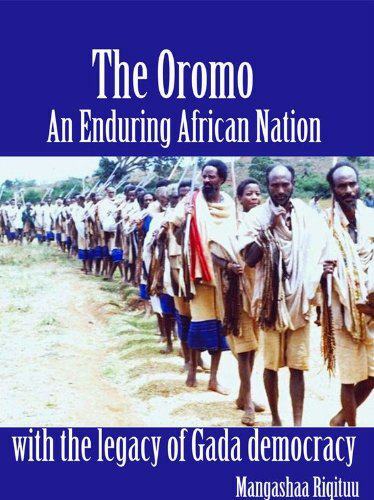 Posted by OromianEconomist in Ancient African Direct Democracy, Ateetee (Siiqqee Institution), Culture, Gadaa System, Humanity and Social Civilization, Meroetic Oromo, Nubia, Oromia, Oromia Satelite Radio and TV Channels, Oromian Voices, Oromiyaa, Oromo, Oromo Artists, Oromo Culture, Oromo First, Oromo Identity, Oromo Music, Oromo Nation, Oromo Social System, Oromummaa, Qubee Afaan Oromo, Safuu: the Oromo moral value and doctrine, Sirna Gadaa, State of Oromia, The Goddess of Fecundity, The Oromo Democratic system, The Oromo Governance System, The Oromo Library. is worshipped for the health of the environment, animals, human beings and crops. Earth). The dancing ceremony is performed on Tuesdays, Thursdays,. and Saturdays. Some writers have explained the nature of Ateetee and Maaram. Knutsson states that the names Ateetee and Maaram are used interchangeably for the same kind of being (Kmitsson 1967,55). Daniel states that the various songs of Ateetee imply that “[a]teete is a ceremony prepared for Ayyolee, Maaram and Waaqa as thanksgiving by those who have children and a lamentation by the barren women” (Daniel 1984, 111). Bartels, however, questioned this assertion. To the Oromo of Western Matcha, Ateetee is the name of the ritual in which Maaram is invoked (Bartels 1983). Baxter (1979) had similar observation concerning the belief of the Arsi Oromo. For Cerulli, Ateetee is conceived as the goddess of fecundity (Cerulli 1922,127; Harris 1968,50). Guddeen kun kan kee ti. Let us rejoice, throw away the boredom! Reconcile, with us who lack wisdom. Have a sit, in front of me, please come! After delivery, a baby one snatches! Here, the little one is your gain. The husband laughs from the front yard. For your backyard, Maaram avoids. So he could boast about it with relief. So she could intimidate her man. Be merciful to the childless. and makes me carry his ploughshare. So I could get done with my worries. Maali yoon diinqa shee darbee? Maali yoon mucaa shees argee? I wonder if dogs have seen it and been able? To have eaten it, and then did settle? I wonder if Maaree have seen? If She has seen and granted! I am Waaqa’s earnest prayer! When do you think we could meet? We will meet slipping away. You know what the prolific said? “Do not enter my inner-room” she said. What if I enter her inner-room? What if I see her baby? To my stomach, porridge I eat. She thinks I pine her child, I presume. She could not deliver and have showers of gift. It is Maaram that un equalizes. Her backyard is full of spirit. Her backyard is devoid of spirit. The husband wishes to punish her. One’s own mother would not do. She turned blood to a baby that toddles. Seenaa hin duune, kan hin qabne fakkii fi akka! Kanaaf iyyatti – qabattee guchuuma aadaa! Seenaa iyya Siiqqeef goonni dhiiga roobaa! Gabbisi ya Waaq, keenniif humna! Gabbisi yaa waaq nurraa cabsi roorroo! This article is for those who did not have the opportunity to know how democracy evolved in human society. Democracy is only one type of government supposedly based on the will of the masses. There had been other types of government like monarchy or aristocracy, dictatorship or autocracy and totalitarian. One can find overlapping characters in all these. So what ever form we may talk about we have to expect element of one in the other. For much, democracy is an ideal type of government but not all proclaimed democracies are fully pro-people. Here the writer is trying to introduce the essence of both Western and Oromo democracy in an easy way. For those who are well versed in theory and practice of democracy this is an opportunity to enrich this work for the benefit of the youth. In particular the young generation that is showing pride in its historic past from oral tradition if armed with the facts may show more interest and start to inquire about it. To prepare the following information in addition to oral tradition and experience this writer was exposed to, the books: Gadaa and Oromo Demokrasii by Asmirom Laggasaa, The Oromo by De Salviac as translated by Qannoon, Folk Litrature by Ceruuli, Aadaa Booranaa by Ton Leus, Ethiopia through Russian Eyes by Bulatovich and Wikiipedia from internet were refered to. Democracy is a term frequently heard from lips of everyone to express equality, justice and liberty in one word. There are no governments that do not claim to follow democratic principles in their governance. Even totalitarian states call themselves “democratic republics” (probably with exception of fascism) in spite of flagrant violation of their subjects’ rights. Just like true democrats they talk about the inviolability of people’s and human rights and respect for the rule of law and fair and free election. They claim that it is to protect these rights on behalf of the masses when they take what are inhuman actions for others. Their founding documents are full of borrowed phrases from ideal democracies. Democratic governmental structures are adopted minus their functions from different countries. Democratic models many emulate are American governmental structure with its system of separation of powers. The functions of legislature, executive and judiciary are separated into three branches in such a way that one can check on excesses of the other to maintain the balance of power. The executive or President and the legislative or members of Congress are elected directly by the people. Members of the Supreme Court are nominated by the president and endorsed by the legislature for life. The other models are Parliamentary Democracy where the executive is elected by the legislature. Those can be its members or non elected persons that are answerable to it. Britain and European governments fall under this. They have mainly different styles of organization. Still others are traditional rulers blended with modern jargons. All these claim their objective to be safeguarding peoples’ democratic interests. The term democracy is a legacy of ancient Greek city state, Athens. It is derived from Greek demokratia which means government of the people (“demos”, people, and “kratos”, power). In this aspect “people” for Athens includes only male citizens above 20 years of age. That does not include women, children under 20, those not born in the city state and slaves. In the city state all those qualified had the right to be present at meetings and participate in deliberations directly. That is why it is now referred to as direct democracy. After many modifications it has reached the present level of modern Western democracy. Here people elect representatives that participate in deliberations on its behalf. The two methods of electing representatives are plurality and proportional voting systems. In the first one with the highest vote is elected even if one represents minority of voters. The second shares votes in proportion of the votes parties got in overall election. Those are the features of modern indirect democracy. In both not all electorates are represented. Now in most cases men and women above certain age have the right to vote depending on the law of each democratic country. The right to vote for women was achieved, for example, for Switzerland in 1971 on federal level and 1990 at Canton levels. It took a long time and a relentless struggle to attain universal suffrage. Though all accept these basics of democracy the structure and function of elected offices are not yet standardized and methods of elections fall short of including every voter’s voices. For example if hundred people vote for three persons and two of them got thirty votes each and the third one gets forty he/she wins the whole thing. That leaves 60 persons unrepresented. Proportional representation may improve this but cannot totally correct it. Here seats are divided in proportion to votes parties got overall. For African countries democracy was imposed on them by departing colonial masters that keep on insisting to this day not to abandon it even if it was a fake one. Africans did not participate to construct a government relevant to their culture and tradition. Even those who later wanted to introduce amendments tried to mix the various world systems instead of looking into their own history and tradition and make it reflect national personality or psyche. As copy and eclectic as it is, it is understood only by elites who themselves are copies of colonial culture. They rule the way they wanted, constitutions are only window dressings. On the other hand the West had modified the concept of democracy in such a way that it fits their particular national needs not as it was practiced by Athenians or any other pioneer democracies. Therefore there is no one common blueprint for it. Had it not excluded a segment of the population Athenian democracy could have been an ideal one where the concern of every member is taken care of. Much has been tried to approximate that but the world did not yet achieve flawless democracy. Abraham Lincoln’s famous Gettysburg Address “Government of the people, by the people for the people shall not perish from the earth.” reflects that aspiration. The question to be answered is who are the people that influence decisions, are they really the people or oligarchs? Though the ideal is not yet achieved there are those that had come nearer and worth emulating. Had Oromo democracy been able to answer that question? Be as it may there are certain basics that underlie every governance of those that claim to be democratic. Principles like equality, freedom, fair and free election; rule of law and respect for people’s and individual rights run through all of them. Even dictators and totalitarian government claim to apply these principles in their own way. Thus these are universally accepted principles of governance though malpractice is rampant in so many countries. Ethiopian rulers had tried to adopt constitutionalism under pressure against their established tradition. The emperor had instituted a semblance of Westminster parliament without political parties. His successor (Darg) had one party state. The next (Wayyaanee) is a pseudo multiparty system but only its party is destined to win. Be him the last emperor or the two dictators after him used democratic phraseology to cover up their core authoritarian values. Their inherited autocratic practices could not go away. The Habashaa in most part of their own history were ruled by forces that come through coup d’états violently or outlaws overthrowing the preceding government. That was so before they formed the empire and remained so even after it. All the three came to power overthrowing their predecessors. The first two staged coup d’états the third was an outlaw. It was not consensus but brut force that kept that highland kingdom together under one crown. Democracy assumes one man one vote in a fair and free election that should be carried out periodically. Democracy is the rule of majority. Who ever gets most of the votes comes to power. In numbers they are the minority in the empire and are scared of others outnumbering them at the ballot box. They have no confidence of winning an election by strength of their platform and performance. Therefore they believe that many opportunities would be at stake if they really change from the old ways bowing down for democratic principles. The situation makes the rulers greedy, self centered, chauvinistic and paranoid that they believe only in their own ways and wisdom and are not permeable to new possibilities. They do not believe that even their own people would elect them in a democratic election. That is why human right abuse became their trade mark. 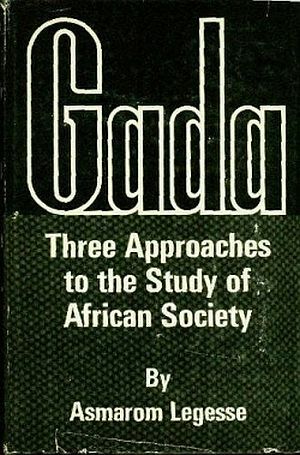 When one discusses Gadaa it would be preposterous to claim understanding its depth and breadth. It was a highly complicated and sophisticated societal system to be attributed only to few generations. That it has a background of ancient civilizations can be deduced from organization of society, its legal system and patterns of knowledge it emanates. For this reason what this article presents is only a simplistic superficial aspect of it, which yet could give a clue to its democratic legacy. Leaving aside procedures, rituals and the regalia what interests us here is the legal and democratic principles enshrined in it. To discover the truth of it much effort is needed from nationals that so far considered it to be just one among the age grade initiation systems found in so many societies. They have to erase all they learned about the Oromo in colonial schools and start unraveling the truth about this so far neglected great African nation. Gadaa was an all encompassing national system where by every male of all ages had roles to play in groups based on peerage. Accordinglly all institutions in society were managed by elected bodies that decide in counsel. Though all activities in general fall under the Gadaa system, it was more visible in its political aspect. Major divisions to be considered are the temporal and the spiritual institutions and within the temporal one the social and the political functions. Gadaa is temporal while Qaalluu is spiritual. It is said that the Qaalluu office used to assist in Gadaa operations like elections. But sovereignty is vested in Gadaa Assembly. Therefore Qaalluu as an institution does not interfere in running political affairs of the country. That means Gadaa was secular. Here we are more interested in Gadaa secular democracy. The social and political aspect of the spiritual institution may worth following for its historical and academic significance. There are several Oromoo that follow traditional religion to this day. Gadaa was practiced by the Oromo people from time immemorial. In social aspect male members of society are grouped into age grade “hiriyaa” (peer) system. To simplify, these were Dabbalee from 1-8 years, Foollee or Gaammee 9-24 and Qondaala or Kuusaa 25-33, Raaba didiqqaa 30-38, Raaba Doorii, 38-46 Luba 46-54 and Yuba 55-78 and gadamoojjii or jaarsa above 78 (taken from different regions practice for convenience). Each member of a society had rites to pass through. At each grade there were roles to be played and training to go through. Activity of a hiriyaa group starts from cradle to calf herding, to different hurdles of fitness that include military training to ruling and counseling the country. It is from these hiriyaa groups that members of national leadership evolve and gradually become Luba, members of the Gadaa ruling group. These leaders in most cases had been leaders of hiriyaa group from the beginning. Women, non naturalized aliens (kan luba hin bahin) and artisans were not included in Gadaa power sharing process. One Gadaa period is eight years. At the end of that period there used to be great feast. That ceremonial feast was called “Buttaa”. Buttaa also served as measurement of time. To know someone’s age one asks “how many Buttaa did you eat?” All those who were born during the eight years tell the same age, one, two, three etc. Buttaa. From that a wise man could tell to which hiriyaa group or Gadaa party one belonged. Five buttaa are slain in one Gadaa cycle of forty years. Those born into each Gadaa are hiriyaa (peers) irrespective of up to eight years possible differences. A boy born at the beginning of the eight years and one born on Buttaa day after eight years are considered to have eaten one Buttaa. On the political side society is divided into Gadaa of five parties. Members in each Gadaa party were recruited from their own generational age grades. Each Gadaa has a role to play in the political life of the nation depending on the time and level in the Gadaa tier. The oldest group is the Yuba. It is composed of person whose members were in power in previous times. Next is Luba, the ruling party. Below that is the Itmakoo or Raba Doorii (these may have other names with different tribes) juniors that lead in defense and nation building. The next group follows the foot steps of their seniors and engages in different aspects of society appropriate for their ages. Each hiriyaa group maintains close relationship and prepare themselves for the next stage of partisan responsibility. They all elect their leaders. Those at the bottom of the ladder are the dabbalee to whose raising society gives much attention. It is there that the basis of Oromummaa is laid down and hunting for generational leaders start. At any one period there are three Gadaa levels that engage is serious party work and has conventions or yaa’a. The bottom one is Raabaa Doorii a group that is preparing to take power after eight years (from), the middle one is the Gadaa in power Luba and the last one is the one that leaves office, Yuba. Each Gadaa comes to power after a cycle of forty years. Since there is a party in waiting to replace the other no party can stay in power for more than eight years. No crisis can be obstacle to transfer Baallii for there is a ready made leadership. To transfer Baallii means to transfer authority. As symbol of authority the old Abbaa Gada hands over to the incoming ostrich feather that was in his custody. Each Gadaa proclaims its own constitution and laws. Therefore there is no stagnation in waiting for cumbersome methods of amendments. Even if there is no article to be changed the past law is formally made null and void and proclaimed again as new. The five Gadaa had set names or are called after their leaders. The highest Assembly of the nation is Caffee or Gumii. The Caffee sits under shade of an Odaa tree. The General Assembly includes all members of the ruling party and any such persons that want to attend it. In this way it is a representative indirect democracy with some elements of direct democracy. Living Abbaa Gadaas and the Yuba can also participate in the assembly. Abbaa Gadaa or Abbaa Bokkuu is the head of the Caffee and the chief executive as well. There is a case where their were two heads of Caffee, one ritual head called Abbaa Bokkuu and another elected head, Abbaa Gadaa. The Luba usually consults “raagaa” wise man or philosopher on the future or consequences of certain decisions. But the raagaa has no power to avert a decision. In addition to mentioned institutions there are several others that should not escape our attention. For example the institution of clan elders which are hereditary have no place in the Gadaa structure but has important role in organizing and guiding the tribe. Members of Gadaa were recruited (nominated) from tribes they lead. They have ritual symbols and roles to play in cursing and blessing. When Gadaa is the national leadership these ones are tribal ones. It was from among these ones that the colonizers embraced and recruited as agents for all their grassroots activities. In tribal protocol the eldest of the clans is called or seated first. Since tribal structures have already been rendered obsolete it has no nationwide political relevance in modern setting. There is also the Siiqqee institution that gives women social and political authority to some degree. In principle this can be integrated into any modern adaptations. For the Oromo rights like equality, freedom, fair and free election; rule of law and respect for people’s and individual rights, respect and protection for environment and wild life are inbuilt qualities of Gadaa democracy. All human beings are equal; no one is above the law; discrimination because of origin, color or economic status etc is unjust. Respect for human rights, freedom of expression that are not safuu or morally repulsive, freedom of movement and association are protected by law. Elected officials are loved and respected as long as they serve the people whole heartedly and with the highest morale standard. An incompetent and corrupt official can be removed from office by the assembly before the expiry of his term of office. In meetings it was preferred if decisions were reached by consensus. Each member of a meeting or assembly has the right of veto to halt a discussion. Once decisions were reached all are required to acclaim and the law becomes sacred. Gadaa Assembly combines executive, legislative and judiciary powers. Gadaa here is to mean the ruling class as well as the eight years of their rule. Leaders of current Gadaa are called Luba. The outgoing Gadaa which participates as advisors and judges are called Yuba. The Yuba group includes two previous Yuba. Though all powers and responsibility lie with the Luba, Yuba and all living Abbaa Gadaas had also roles to play in matters of law and checking on excesses of Luba and had great influence on all political matters. Full retirement comes three Gadaa after they leave office. From thence they are called gadamoojjii or jarsaa. Another hiriyaa group that is active during a Gadaa period is the Itmakoo or Raaba Doorii with defense as their major activity with their eye on the bokkuu when the time comes. In Oromo society there was a tendency of the weak to form alliance against the strong. For example grandparents and grandchildren ally against parents. In the same way it is logical for Raabaa Doorii to ally against the strongest institution of the land, Luba. In that way power of Luba can be checked before it gets corrupted and become abusive. The chief Luba is the Abbaa Bokkuu or Abbaa Gadaa (Hayyuu Fiixee). In places he has two deputies one having greater power than the other. The executive power is held by Salgee, the top nine Luba or six in some places. Those were elites elected by the people for eight years with Abbaa Gadaa as their leader. Committees were usually formed at different levels for different functions. Prerogatives of decision making at each level is known. There will always be consultation before decisions are taken. They were it is believed, those frequent meetings to make seera (law, legislation) that gave rise to Amaara legal term “seeraa” to mean conspiracy. Abbaa Bokkuu implements what is decided by Salgee. Abbaa Bokkuu’s role as a chief is defined by law. Thus he has internal constraint imposed on him by peers and external ones by Yuba and Raaba Doorii and Caffee periodic assembly that is chaired by Abbaa Seera who is a well respected past Abbaa Gadaa. The limitation of office term of only eight years for a party is by it self a reason not to get corrupted lest face humiliation with no chance of reelection. Thus Gadaa democratic system was a well balanced system with inbuilt checks and balance mechanism. The Abbaa Gadaa and Luba had assistances called makala (Makkala). Makala kan be compulsory service to Gadaa offices. Military functions are assigned to Raaba Doorii by law and tradition. But Abbaa Gadaa was commander in chief and only Caffee can declare war. Commanders are appointed by Abbaa Gadaa for each engagement. After a campaign is over the person went back to his normal duties. But lack of efficient communication and contingent law enforcement mechanism had given rise for Abbaa Duulaas to defy tradition starting in the course of the 16th century. Gadaa is equal: There should be no one to be denied passing through Gadaa process, elect and be elected when ones turn comes. There should not be partiality or discrimination in services and protections Gadaa provides. Every member has the right to directly or through elected representative be heard in all affairs that affect people’s life; to be equally treated in matters of administration of justice. No one is above the law. No one may be prohibited to attend Gadaa deliberations. Odaa is equal: Odaa is a national symbol for people’s government, demokratia. It represents freedom of speech and expression, freedom of assembly, equality of all participants that meet there, freedom of worship, peace and araaraa (reconciliation) and liberty to rest for persons and animals under its shade without worry of being disturbed. Malkaa is equal: Ford or river crossing (confluence) is open to all for crossing; perform rituals; using water for drinking, washing etc for humans and animals. No one for any one reason can bar any one from using it. Malkaa is a symbol of transiting from status quo to something new. Road is equal: every one is entitled to the right of way; no one can be denied an access from his home to outer world or restricted from using of existing roads like all others; there will not be restriction to the right of travel; no one has the right to close an existing road for own use. Is there any point that modern society discard from these? So far we have tried simplistic approach to uncover old Gadaa practice. Gadaa was more inclusive in its membership than Greek City state democracy. It involves every member of society to equally participate in all activity of the nation according to generations. All male nationals are grouped into generational hiriyaa and play roles society assigned for them. For this reason the Gadaa system involves all in the process of managing a society. Each division stays in the age grade for eight years before it is initiated into the next level. Probably except kids under nine all elect their leaders through electoral process. Gadaa was a representative democracy with some elements of direct democracy. Anyone that can travel to Caffee Assembly can participate in its deliberations and express ones opinion. That gives it semblance of direct democracy. 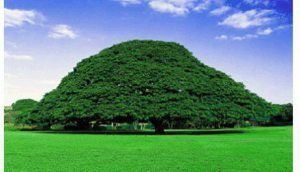 Gadaa was practiced when Qaalluu institution had significant role in Oromo society and the nation was at a different level of economic and technological development than the present. Taking these variations into account let us see if there are principles that we could salvage for new democratic Oromiyaa. Societal development takes place on two lines. One is the social age grade system and the other is the party system. One follows the gradual mental and physical development of a child, while the other handles its political development. At stage of adult hood both overlap. In the political aspect society is grouped into five hiriyaa category and a party name is attached to them. Each party takes turn in governing every eight years. A party has to wait for forty years to reign again. All five parties exist at the same time with different roles to play. In Gadaa executive and legislative functions are combined. Bokkuu and Caffee (Gumii) are the highest authority of the land. Sovereignty lies with the people but expressed through Caffee and Bokkuu. Decisions are reached by consensus how ever long it may take. That means minority opinion is never neglected. Abbaa Bokkuu is the commander in chief of the fighting force. Caffee is the only power that can declare war. People love and respect the leaders because of their valor and uprightness not out of fear and threat. Yuba is the highest advisory body and also heads the supreme court of the land. Its head is the most respected among the living retired Abbaa Gadaas and usually taken as the Supreme Judge (Chief Justice). Itmakoo/Raaba Doorii is a power in waiting to replace the incumbent Luba. It is responsible for recruiting, training military personnel and conducting war. Qaalluu is the spiritual leader with some functions concerning elections but never interferes in secular affairs of the Gadaa. 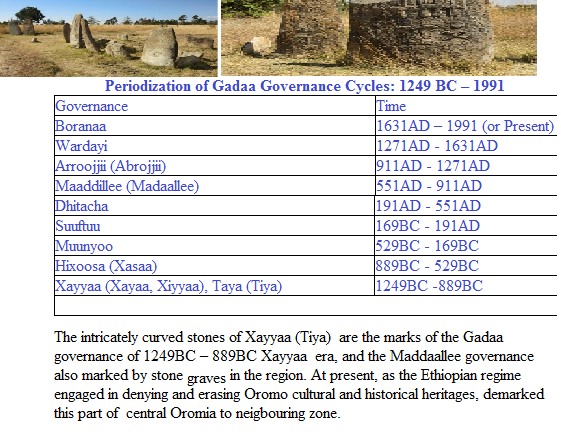 Gadaa was a temporal institution. Women were recognized as subjects of rights through Siiqqee institution. There were also rituals that cannot be performed without them. But full equality was not guaranteed. Each Gadaa general assembly convenes at the beginning of its term to declare laws. Then it will assemble in its mid term to make progress report. Then members can be criticized, condemned or uprooted for wrong doings if any. That means electors had the right to recall their representatives for corruptions and abuses. Caffee meetings are open for citizens that can attend. Hayyuu were notables (elites) that can give decisions and counseling on several issues. They were knowledgeable members of the society without any flaw in character. To summarize, the people are sovereign; representative system mixed with direct democracy were practiced; rulers were elected for a limited term of only eight years; citizens had the right to elect and be elected according to their ages; no one was above the law; people can recall their representative; humans, animals and nature are protected by law; the welfare of children was concern of all members of society; their was majority rule but by making decision by consensus minority views were protected; all human being were equal, ill treatment was abhorred; right to assemble and freedom of expression were protected; right to engage in any trade was protected; right to travel were granted; right to worship was recognized and discrimination based on race, age, gender and economic status are forbidden. There was inbuilt check and balance system in the political process but not so spelled out. Now, that we have seen a brief introduction to western and ancient Oromo Gadaa democracy, let us try if we can come out with a fitting system for reorganizing modern Oromiya. The system of dividing and managing society into generations is not different from modern world school systems. Children learn what is assigned them according to peerage, “preschool, kindergarten, primary, secondary, college”. This is not far from what they call “dabbalee, Foollee, Gaammee, Raaba etc.” Existing political parties recruit members from this school system. But the Oromo as different as they are, had something to add and their own outlook. Oromo see the system in interrelation with all other societal activities. To pass from one stage to the other are rights of all citizens not of particular classes. Probably it would be essential to revise certain things and see how they may serve modern society better. Instead of collectively saying Oromo youth association if one says association of Foollee, Gaammee, Raaba etc it will help to mobilize in unison generation that under stand each other better. It may also give better opportunity to develop future leadership for society. In the past stages in the Gadaa were seen from fathers’ point. For this reason the age at which one has to produce a child was determined. If one is born before that it was bad omen. Now all children should be treated equally and age has to be considered from childrens point. So, age should not be calculated by butta and father’s Gadaa grade, but the exact date of a child’s birth. All those excluded to participate in gadaa activities and elections must now be included to make true that all humanbeing are eqal. This is only the skeleton otherwise social functions require deeper research. During the period of Abbaa Gadaa there was only one Qaalluu, now they are numerous (in addition to those of other religions). In the past we go for pilgrimage only to Abbaa Muudaa now we crossed the sea and added Mecca and Jerusalem etc. After all, what do you think? This is a big challenge for Oromoo intellectuals. It may require liberating ones mind from the shackles of foreign influences to appreciate what we had. Gadaa is never obsolete but may need refurbishing. Go and make research before responding. Let us get prepared to be ourselves and show the world that Gadaa still dwells in our minds and body. This will not be difficult for one who has pride in Oromummaa. 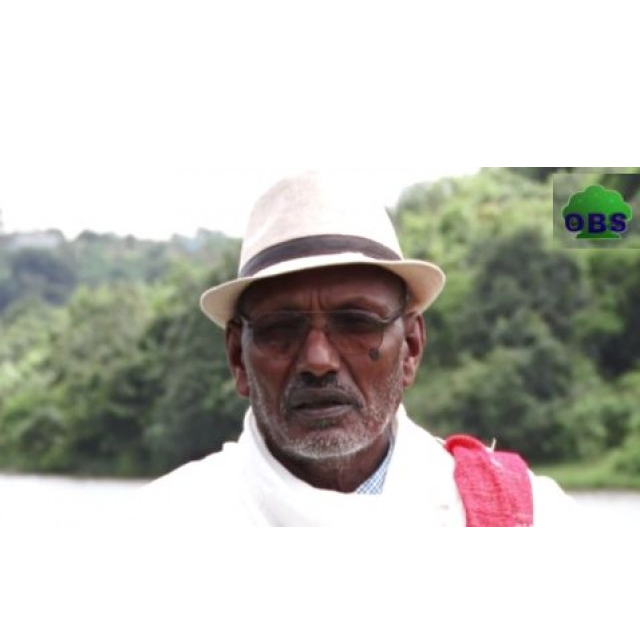 …The presence of the aged, both men and women who attired in traditional costumes, and carrying ritual sticks—bokkuu and siiqqee—the symbols of power and justice of the gadaa system decorated the march which reflected the authentic Oromo tradition. This authenticity is articulated not only in the words spoken by the elders and sung by the artists but also expressed in the peacefulness of the gathering of millions of people. Oromo nationalism is reviving and thriving in the fertile soil of rich symbolic cultural resources that have come to the open since the 1990s. The array of national symbols such as the odaa tree which decorate the costumes worn by men, women and children, the siiqqee, the bokkuu and other pre-colonial pan-Oromo symbols carried by men and women at the festival represent and reinforce the pride of the nation and unite the multitude gathered for the festival through a common imagery of shared memories, myths and values—in other words the shared structures of feeling. is the principle of deep moral honor and accountability that was fostered by Waaqayyo fearing people of Oromia. “Yoon maqe, Waaqni na arga” is the principle rooted in each Oromo proven to be worthy of wholesomeness, to have virtue, and love other. These type of people have a desire to understand and live by traditional values.